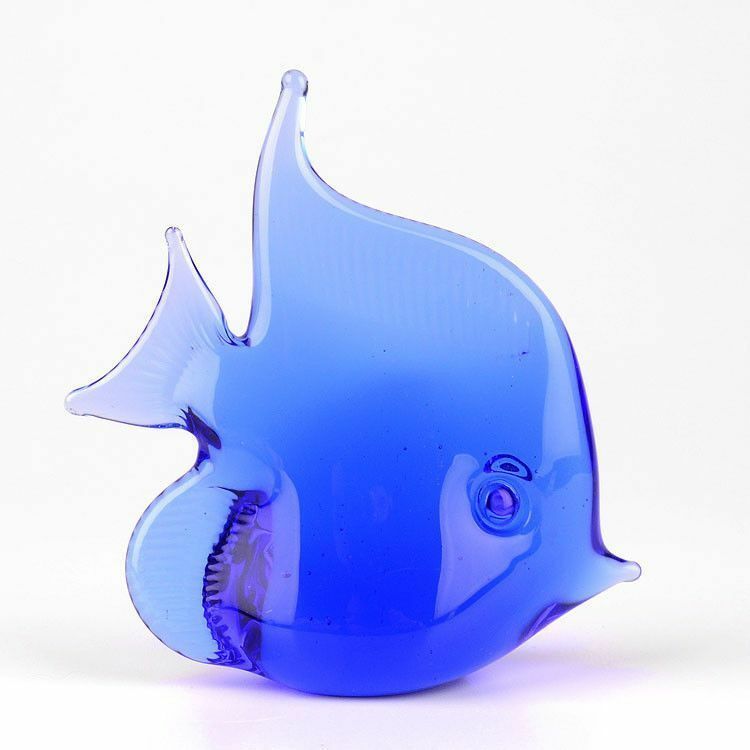 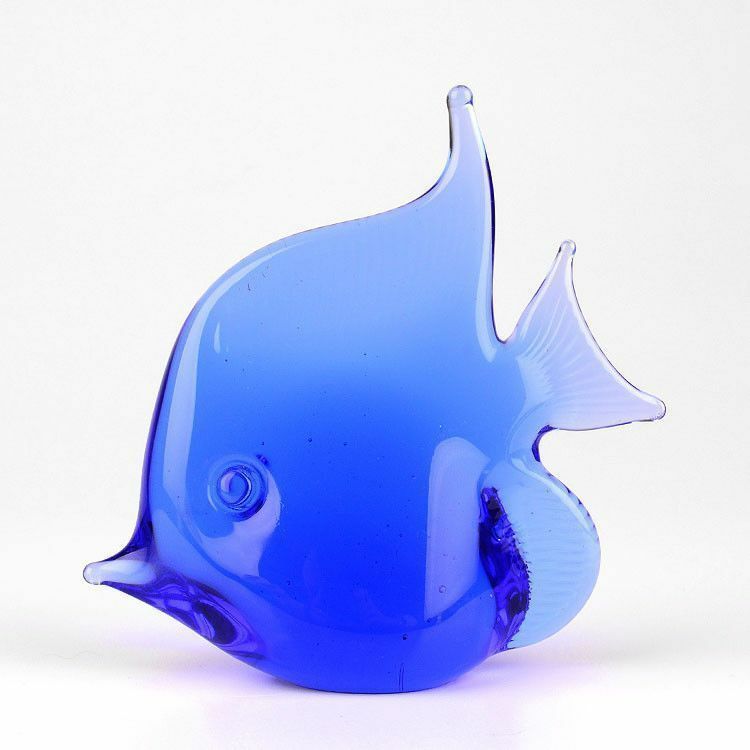 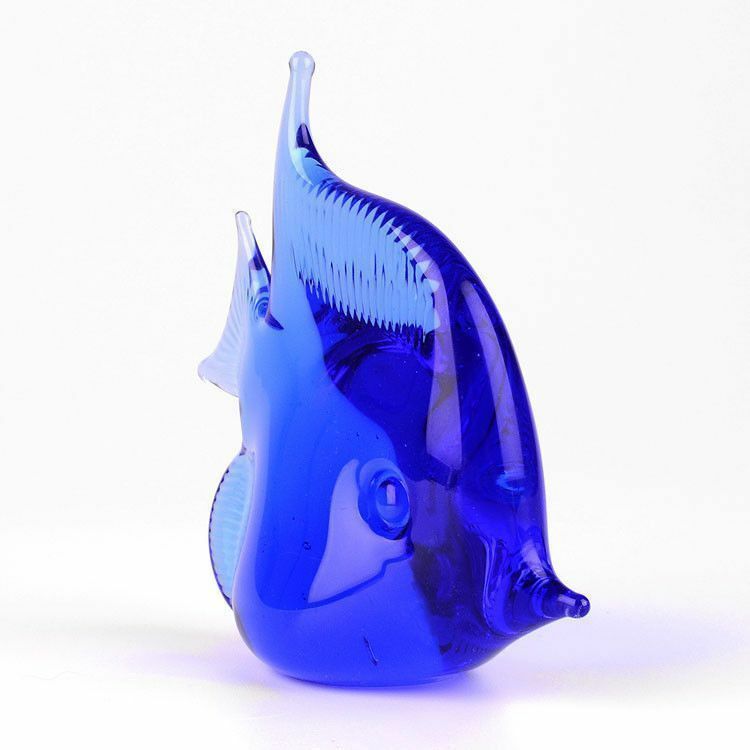 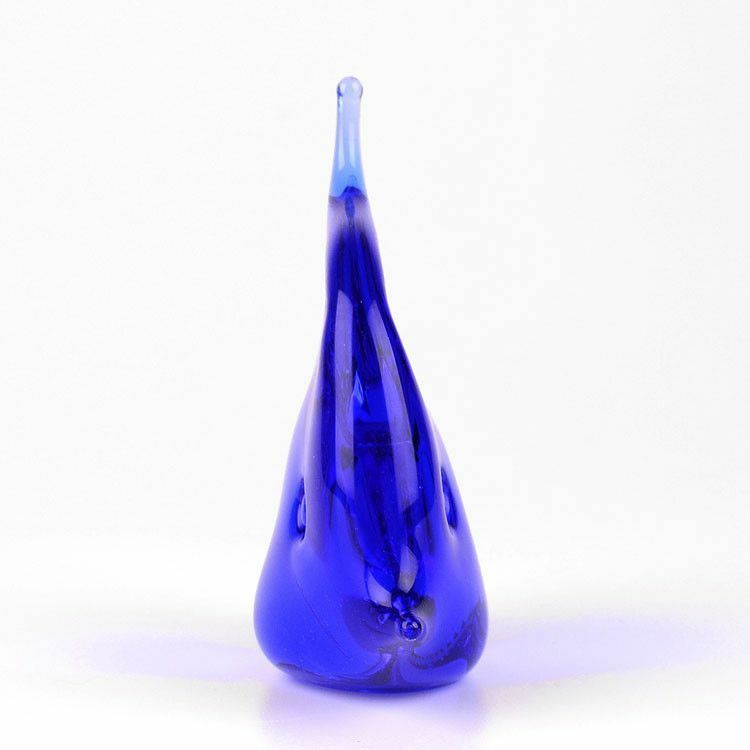 This beautiful blue glass art glass fish was hand-crafted by Murano. 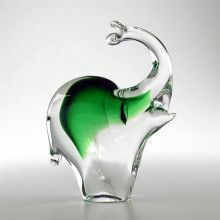 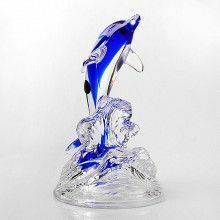 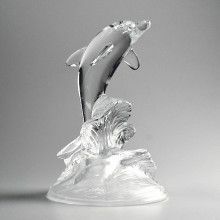 Makes for a lovely gift to be used as a paperweight or decoration, and it looks stunning in an ocean themed bathroom, bedroom, or office. 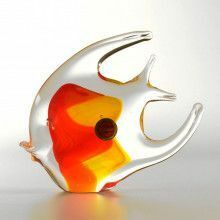 About 4 1/2" height, 4" length, and about 1 3/4" wide.